Critters@Lembeh Resort believes in encouraging our guides to grow and helping them to continually develop their skills. While all of our guides are known as being among the best in Lembeh at spotting critters and finding the most interesting and bizarre marine life, we also have a team of dedicated Underwater Photography Guides who have undergone hours of classroom theory taught by our Photo Pro, participated in professional underwater photography workshops, and have hundreds of hours of in water experience – often with some of the world’s most esteemed photographers. Our Underwater Photography Guides have a solid grasp of underwater lighting, positioning and composition which enables them to recognize the best photography opportunities on each and every dive that they guide you on. Not only this, but with their years of experience in observing the critters and marine life of the Lembeh Strait they know exactly which critters will allow you to take close ups, which will turn away from the lens and which will pose perfectly! All of these combined attributes mean that you are in the best possible hands to maximize your photography opportunities and leave Lembeh with images that you can be proud of. 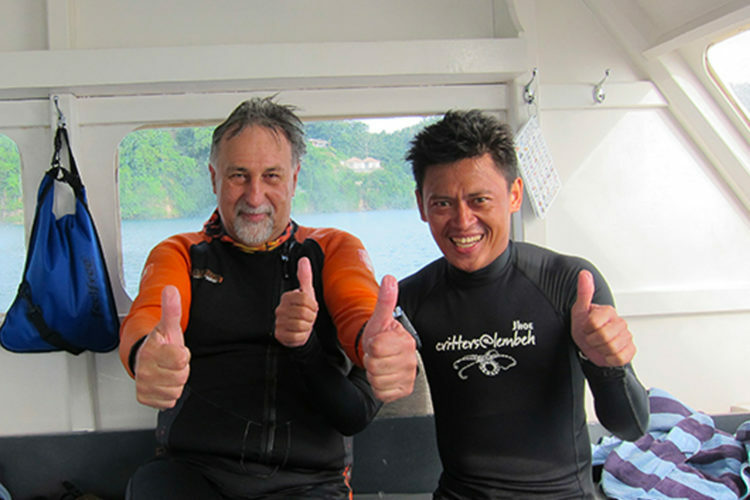 Imagine diving one of the marine richest areas on earth with your own private boat and private guide. This dream can become a reality at Lembeh Resort with our private guide and private boat options. We are also able to offer camera caddy services for underwater photographers. 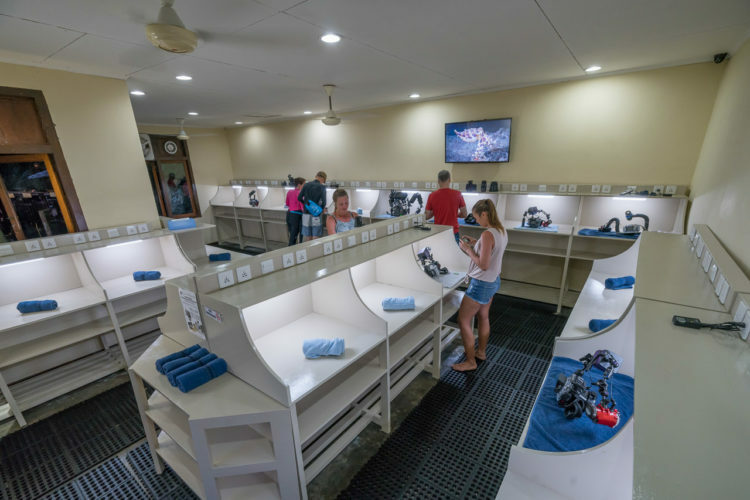 Our spacious camera room is just steps away from the boats and is the perfect place to keep, organize and set up your camera, housing and accessories. Private workstations with power plugs are available for everyone and rinse tanks and air guns are just outside.